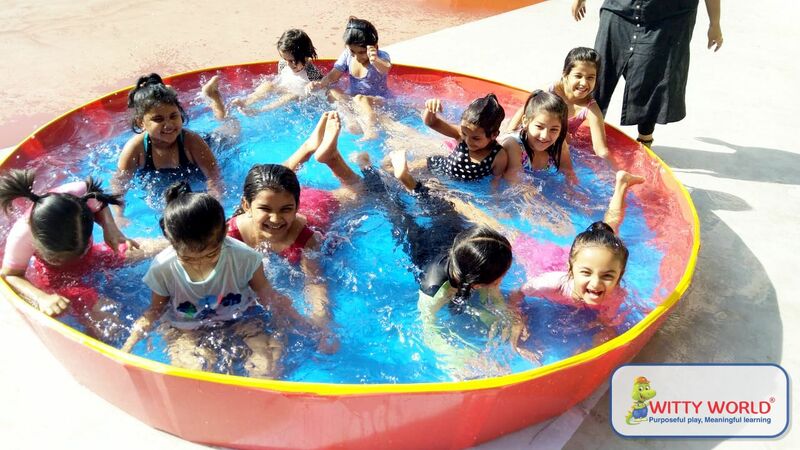 And splash it with fun’. Holi signifies the arrival of the season of Spring and the end of Winter.It is traditionally celebrated with colours which signify the vibrant colours which mother nature offers. 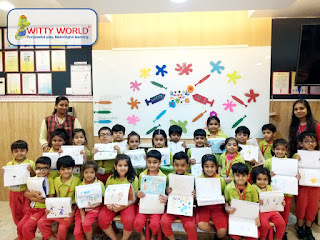 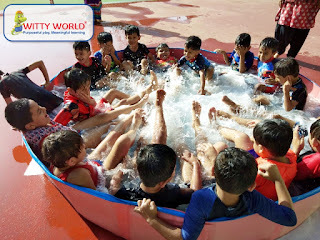 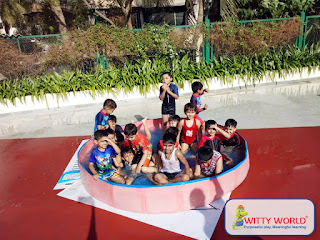 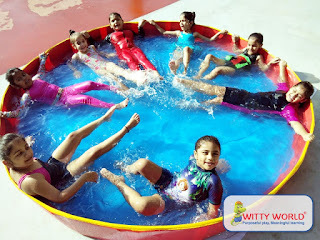 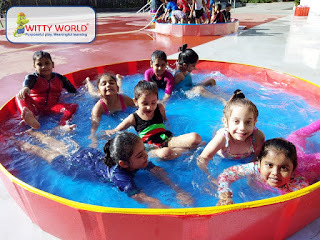 Witty World celebrated Holi with great fun and excitement. Children played with water..Chidren even had a great time showering each other with coloured paper while at the same time chanting. 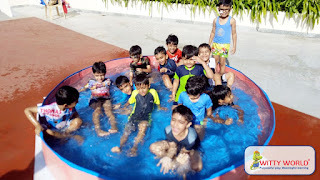 Holi haibhai Holi hai,buranaamaano Holi hai." The teachers emphasised the importance of a safe “eco-friendly” holi and spoke to the children about the way in which the festival is celebrated all over the country. 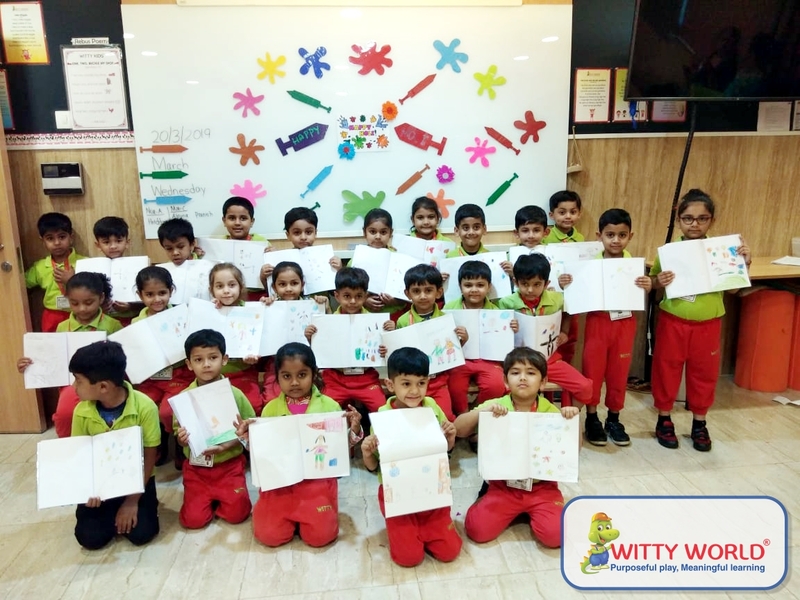 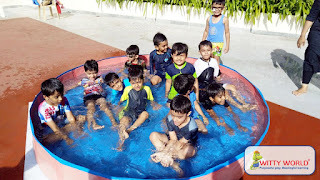 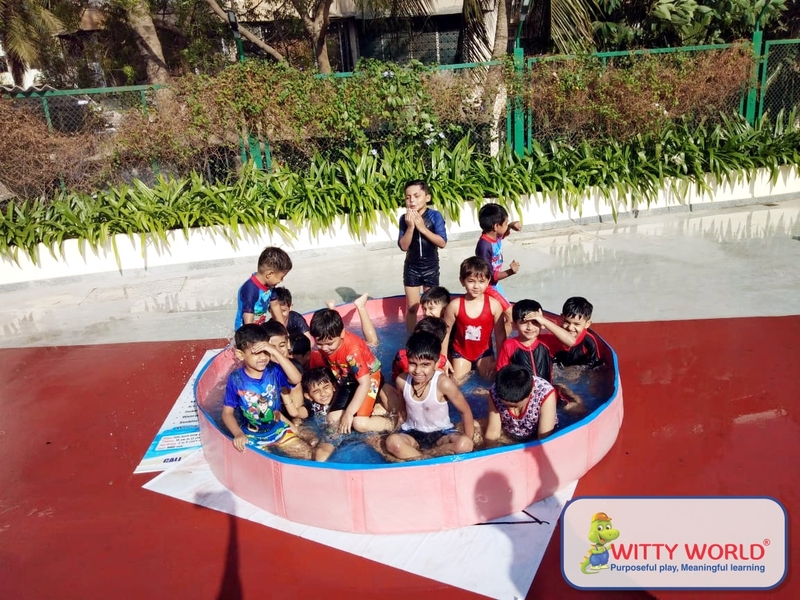 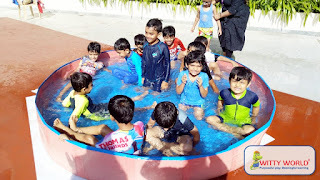 It was a fun day for our little Wittians with a great learn with fun experience of understanding the true essence of this colourful and vibrant festival.